MicroPro® technology offers many benefits including significantly improved corrosion performance. MicroPro Sienna® Treated Wood with MicroPro technology exhibits corrosion rates on metal products similar to untreated wood. For interior or exterior applications, use fasteners and hardware that are in compliance with the manufacturer’s recommendations and the building codes for their intended use. As with any good design and construction practices, MicroPro Sienna Treated Wood should not be used in applications where trapped moisture or water can occur. Where design and/or actual conditions allow for constant, repetitive or long periods of wet conditions, only stainless steel fasteners should be used. The effects of other building materials within a given assembly, along with environmental factors, should also be considered when selecting the appropriate hardware and fasteners to use for a given project containing treated wood. Stainless steel fasteners and hardware are recommended for use with treated wood in other severe exterior applications such as swimming pools, salt water exposure, etc. Type 304 and 316 are recommended grades to use. Other fasteners and hardware as recommended by the manufacturer: There may be additional products (other than stainless steel or hot-dip galvanized) which are suitable for use with MicroPro Sienna Treated Wood. Please consult with the individual fastener or hardware manufacturer for recommendations for use of their products with MicroPro Sienna treated wood. In addition, carbon steel fasteners may be used for interior, above ground, weather-protected applications such as sill plates, interior framing and interior trusses. 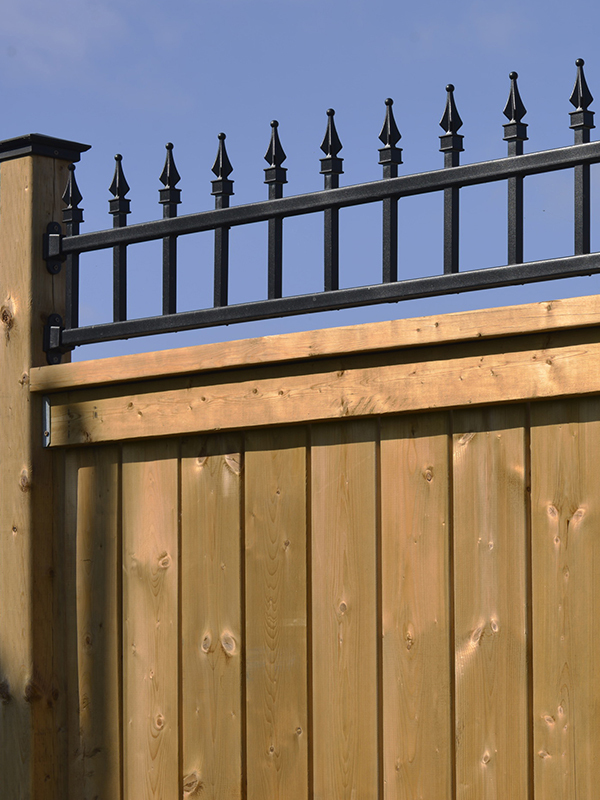 Aluminum building products may be placed in direct contact with MicroPro Sienna Treated Wood used indoors or in above ground exterior applications where the wood is not exposed to frequent and prolonged wetting, such as decks and fencing. 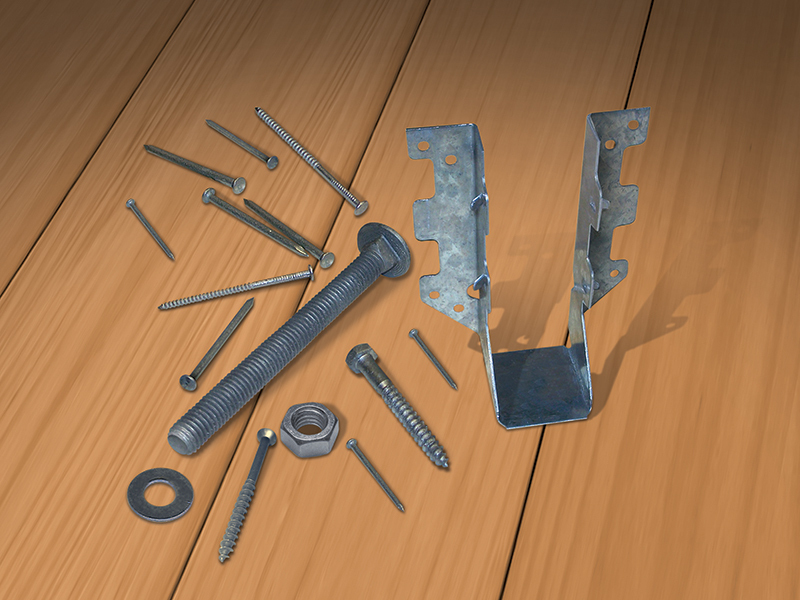 Examples of aluminum products include siding, roofing, gutters, door and window trim, flashing, nails, fasteners and other hardware connectors. MicroPro Sienna Treated Wood in direct contact with aluminum products should only be used in code compliant construction applications that provide proper water drainage and do not allow the wood to be exposed to, or remain in contact with a continual moisture source, standing water or water immersion, such as fresh water docks, hot tubs and swimming pools. In addition, MicroPro Sienna Treated Wood should not be encased, sealed, or wrapped with aluminum products where moisture or water can be trapped, so as to avoid pitting or other undesirable results. When using MicroPro Sienna Treated Wood in ground contact and/or high moisture applications, it is recommended that spacer materials or other physical barriers are used to prevent direct contact of the treated wood and the aluminum products. A ¼” space must be maintained between the treated wood and the aluminum product. Another option is to use a polyethylene barrier with a minimum thickness of 10 mils between the treated wood and the aluminum product to prevent direct contact. chlorinated water, such as swimming pools or hot tubs. Also check with the aluminum product manufacturer regarding compatibility with other chemicals and cleaning agents. Contact info@MicroProSienna.com for further information on aluminum contact use in commercial, industrial, and specialty applications such as boat construction.